Brief：Chinese companies are expected to invest up to $10 billion in Peru in sectors including energy and mines, telecommunications, construction and financing over the next three years. Chinese companies are expected to invest up to $10 billion in Peru in sectors including energy and mines, telecommunications, construction and financing over the next three years, an official said. Jia Guide, China's ambassador to Peru, said even though China is Peru's top trade partner and imports most of the minerals the South American country produces, Chinese companies are keen on investing in the country's other sectors. His comments came during a signing ceremony with Peru's president last week, when Aluminum Corp of China started work on the $1.3 billion expansion of its Toromocho copper mine in central Peru. The investment will increase the mine's copper output by 45 percent by 2020, with the value of production exceeding $2 billion annually, contributing to the creation of more jobs, tax and welfare facilities, according to Beijing-headquartered Chinalco. Chinalco, which has been operating in Peru for 10 years, hopes to triple its processing capacity to 157,000 metric tons a day, and to double its annual output of fine copper to 300,000 metric tons sooner or later. Reuters reported last week that COSCO Shipping Holdings Co, the container shipping and terminal operation unit of China COSCO Shipping Corp, plans to build and operate a $2 billion port on Peru's Pacific coast, part of $10 billion upcoming Chinese investments in the country. The proposed port is located in Chancay, a town 58 km north of the Peruvian capital Lima, and is owned by Peruvian miner Volcan Minera. Volcan said in its earnings statement in May that it was seeking a strategic partner for the Chancay project, according to the Reuters report. Jia, the Chinese ambassador, also said that China Railway Engineering Corp plans to build a port in the southern town of Ilo, the capital of a copper-rich mining region. Edgar Patino, director of Peru's National Port Authority, said he was unaware of any proposal by CREC to build a new port in Ilo and that a potential expansion at the current port would be awarded to a company through a public auction. Patino said the Ilo port would be expanded if a proposed railway to transport goods from Brazil, Bolivia and other countries is built. 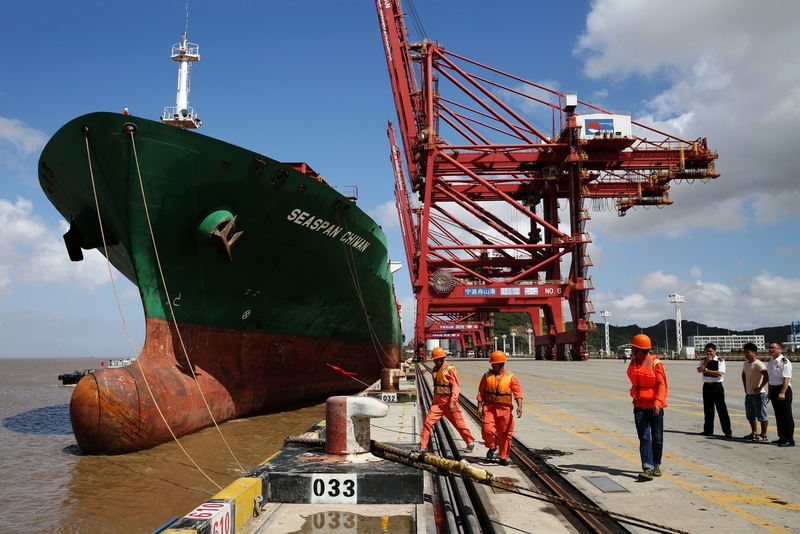 Dong Liwan, a shipbuilding professor at Shanghai Maritime University, said the fast goods and commodity exchange between China and markets related to the Belt and Road Initiative had also contributed growth momentum to COSCO Shipping Holdings' terminal business in South America. "China's continued economic growth and the expanding middle-income earners will also make the country a profitable market for South American companies," he said.